I know I’ve been neglectful of submissions, and I’m sure I’ve fallen into disapprobation with many of you, and quite deservedly. I haven’t had the time or decent net connection to deal with MM for a while. I am planning to return, but not just yet. So, once again, accept my apologies. While I’ve been neglectful as an editor, I have compiled a book of poems which The Blue Hour has been kind enough to be kind about and to publish. If you accept my apology, please support The Blue Hour and me by venturing to Etsy for the paperback or Lulu for the eBook. The links are below. The paperback is in pre-sale, but there are only 15 copies left. 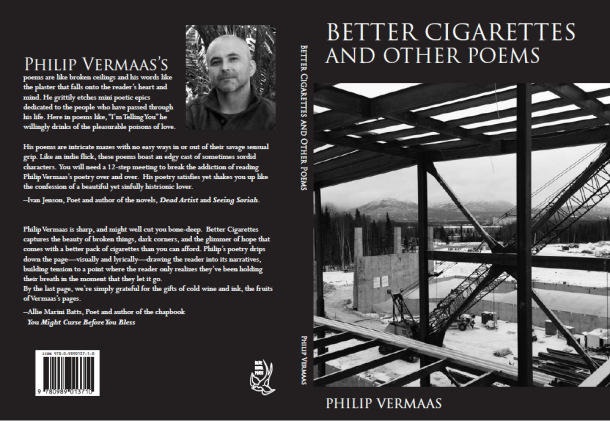 Head to the Better Cigarettes and Other Poems FB page, like it if you dig, for more info and some poems, one or two from the book.